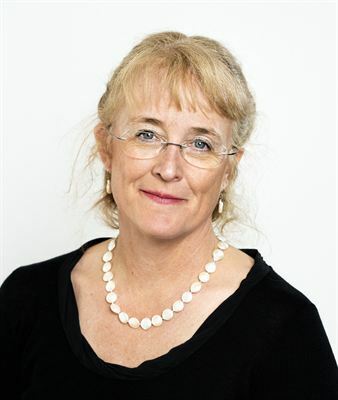 Professor Maureen McKelvey, employed at the School of Business, Economics and Law at University of Gothenburg, has been awarded 50 million Swedish kronor, with the framework of the Distinguished Professor Programme of the Swedish Research Council. The Swedish Research Council announced their Distinguished Professors last week. Professor Maureen McKelvey has been chosen as one of them. McKelvey is Professor of Industrial Management at the University of Gothenburg and also recently inducted into the Royal Swedish Academy of Engineering Sciences. McKelvey’s research program can now become a reality thanks to the Swedish Research Council. Her program is called Entrepreneurial ecosystems: Transforming society through knowledge, innovation and entrepreneurship. The aim is to update the theoretical and empirical understanding of how knowledge-intensive entrepreneurial ecosystems can be established and maintained in order to meet future societal challenges. Society is always changing, and is under numerous pressures of digitalization, globalization and regionalization. To succeed, we must be daring in our research approach. The Swedish Research Council’s Distinguished Professors Program will create the conditions for the most distinguished researchers to engage in long-term, innovative research with great potential to achieve scientific breakthroughs. The grant will also promote the establishment and development of a research environment of highest quality. The Distinguished Professorships have only been awarded three times, and of a total of 539 applications, only 29 have been granted. The vast majority of grants go to medicine, engineering and natural science. Only three have ever been awarded within the humanities and social sciences, include the one to Professor McKelvey. Professor McKelvey would also like to thank her research partners and financiers through the years – Carl Bennet, Chalmers, European Union, GU Ventures, IMIT, Riksbankens Jubileumsfond, SKF, Sten A Olsson Foundation for research and culture, VINNOVA, Volvo AB and the Richard C Malmsten Memorial Foundation. Maureen McKelvey is Professor of Industrial Management at the School of Business, Economics and Law at the University of Gothenburg. She was previously Professor of Economics of Innovation at Chalmers (2002-2007). In 1996, McKelvey won the prestigious Schumpeter Prize, awarded by the International Joseph A. Schumpeter Society. She has published a dozen books and a very large number of scientific articles. McKelvey has been member of the boards in many of the prestigious scientific associations and international research centers in her field. McKelvey has been active in a large number of public policy reports, meetings, panels and evaluations, especially in Sweden and the European Union but also in Asia. McKelvey has a BA in Economics and Political Science from Rice University, USA; a MSc in Science and Technology Policy från Lund University, Sweden; and a PhD in the interdisciplinary area of Technology and Social Change from Linköping University, Sweden. Member of IVA since December 2017. Professor McKelvey works at the Department of Economy and Society, (www.handels.gu.se/iie). With about 7000 students, 490 employees, more than 160 international partner universities and the main subjects business administration, economics and law, the School has a unique broadness. The School is also characterized by its close relation between research and education, internationalization, overall embeddedness of sustainability and its close engagement with business and society. The School is accredited by EQUIS, AACSB and AMBA and thereby the only "Triple Crown" accredited business school in Sweden.